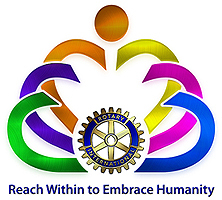 Hafa Adai and welcome to the Rotary Club of Guam online! We’re excited to show you our history in a timeline fashioned so that you can easily scroll or thumb through it to explore our history and learn more about what Rotary on Guam has done for the past 75 years. We hope you’ll share your own history with us as well, by sending your photos/videos and stories to history@rotary.org.gu where our web team will review and enrich the Rotary Club of Guam’s timeline for posterity.